The Museum of the American Revolution is located in the historic heart of Philadelphia, just blocks from Independence Hall. In collaboration with Robert A.M. Stern Architects, OLIN led the landscape design for the public spaces along each of the streets. 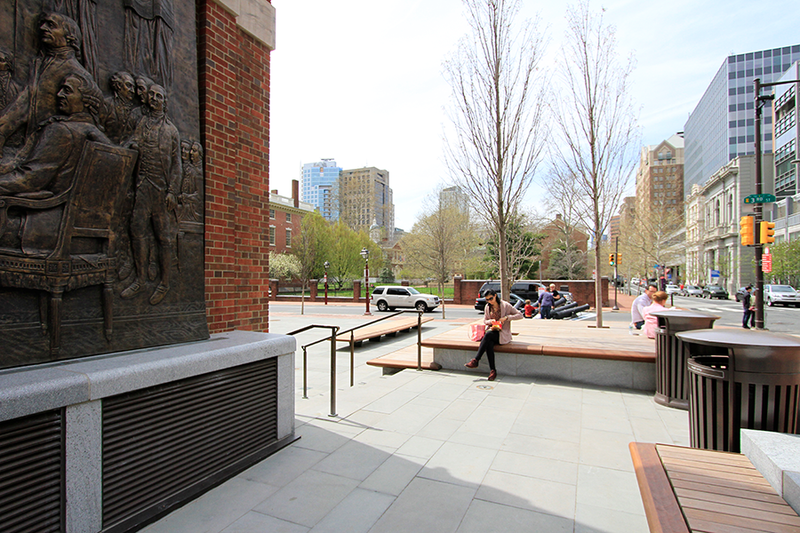 On Chestnut Street, long benches provide comfortable seats for viewing two large bronze bas-reliefs depicting events from the revolutionary period. On 3rd Street, a café terrace offers views toward the historic First Bank building designed by Samuel Blodgett. 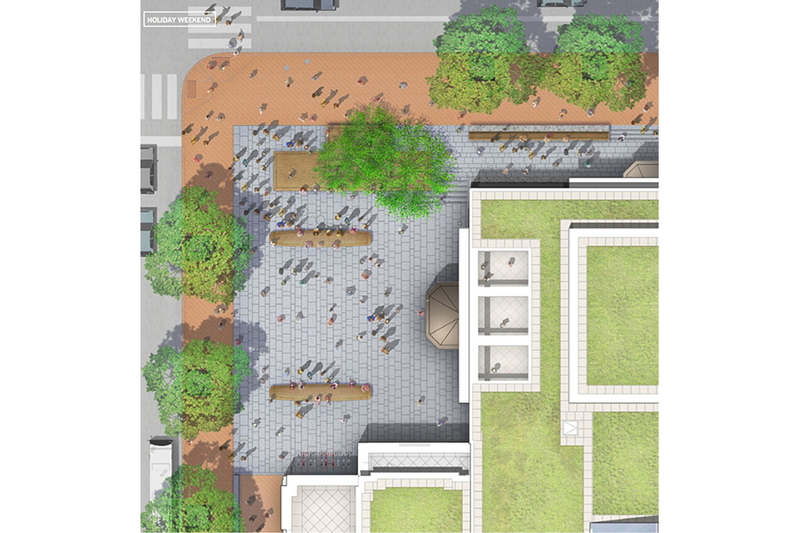 The museum’s entrance at the corner of 3rd and Chestnut is set back on a sympathetically scaled plaza, allowing for ease of circulation and occasional events. The plaza also marks the beginning of the museum experience, with a display of revolutionary-era cannons facing outward toward the street.